Babies drop things. This we all know. What we also know is that where they drop these things is not always sanitary. This is where BinkySpritz comes into play. BinkySpritz is an all natural solution made up of lemon juice, stevia and orange oil which when sprayed on the dropped item, create an acidic environment where microbes cannot survive. The high level of acidity in lemons changes the pH level in bacterial cells getting rid of a greater variety of microbes than alkaline cleaners. When looking for a natural alternative to chemical disinfectants, orange oil is a popular ingredient which helps to inhibit microbial growth. Knowing that BinkySpritz cleans in a natural, biodegradable, non-toxic manner is a big relief to parents and caregivers. 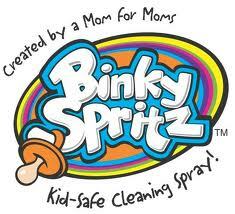 BinkySpritz is safe to use on pacifiers, sippy cups, bottles, toys, utensils, table tops, highchairs and more! 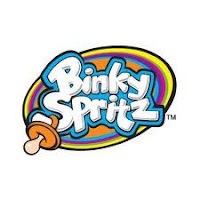 *binkyspritz donated one bottle for g's baby shower. all opinions are my own and no money exchanged hands. thank you, binkyspritz!